Answer – It would have to be NARS, there’s something about the nature of the brand that makes it feel almost “collectible”. Those eyeshadow duos… screw whether or not I’d ever use them, I just want them all regardless. I realise that this is not a healthy obsession. 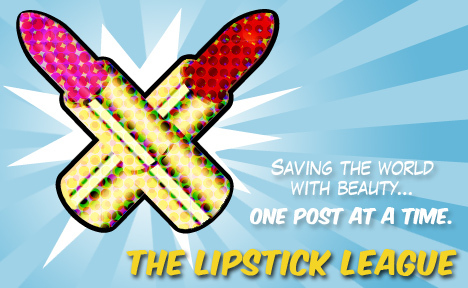 Lipglossiping – puts together a bright Spring look in an attempt to defrost the winter chills! My Beauty Bunny – My Cruelty-Free Product of the month is the DermOrganic Leave-in Treatment. See why it’s awesome! Nouveau Cheap – What’s the closest drugstore equivalent to a $25 lipstick? In my humble opinion, it’s these new Milani Color Statement Lipsticks, which feel so sublime on the lips you won’t believe they’re under six bucks a pop. Phyrra – is in love with Virus Insanity Eyeshadows! Check out the beautiful duochromes and holographic sparkles. Prime Beauty – deems the new shades of Laura Mercier’s Caviar Stick Eye Colours the best on the market! Vampy Varnish – loves the HBO show GIRLS and now Deborah Lippmann has a new nail collection out to celebrate it! we heart this – shares their 3 latest drugstore purchases (a leave in conditioner, nail stickers and Stef’s girl crush’s new lipstick). Come on by and share yours! Clumps of Mascara – is loving Sally Hansen’s gel nail kit. Gel nails at home? Sounds ideal! EauMG Pamper yourself or your Valentine with one of the many pretty scented items on Victoria’s 2013 Valentine’s Gift Guide! Guest Post of the Week, as chosen by Gouldylox Reviews – This week, I wanted to share the blog, Oh So Pretty, The Diaries. I love their tutorials, hair ideas and descriptive photos. Check them out for some inspiration beyond reviews. If you could have a shopping spree with any cosmetic brand, who would you choose?